Washington D.C. is a business-friendly city, offering great opportunities for companies to prosper. It offers a competitive market for workers to find secure and good-paying jobs as well as. As an economic hub, the District is home to government-related industry, technological innovation and an expanding knowledge sector. DC’s proximity to policy influencers, strong technology sector, and access to top talent, make it a convenient location to establish headquarter locations. The District is home to an unprecedented mix of leading international development institutions, grantmaking and social advocacy organizations and incubators. It is home to the nation’s capital, 16 universities, and several hundred governments and private-sector research institutions. All of this makes DC a global hub for innovation and development that would be impossible without productive collaboration. Most businesses and organizations in DC rely on technology more than before. And that’s not a bad thing — as long they’re using the right technologies in the right ways. Collaboration technology is no longer a luxury, but a necessity dictated by the evolving business relationships. 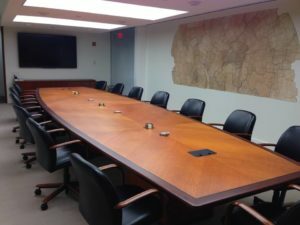 Collaboration used to happen in board rooms with whiteboards and bagels. Today, it’s on documents being presented and edited by multiple people all over the world at the same time. It’s sharing screen data and chatting over video. As your trusted av partner, AVIT Service offers powerful, easy to use collaboration technology designed based on your specific needs. 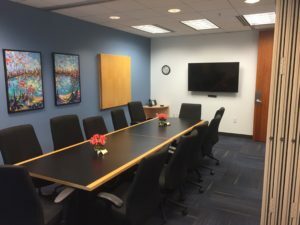 You may be in need of huddle space for your start-up, conference room for you mid-size organization, or require an impressive Boardroom and Auditorium for your global presence company. 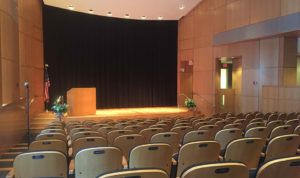 We can assess, design and build a custom av system that is right for you and your future growth.